We’ll be performing O Best Beloved on Sunday, August 17 at 5:00pm at Centennial Park, 5353 Sunol Blvd, Pleasanton. Mark your calendars for this special early-evening performance! 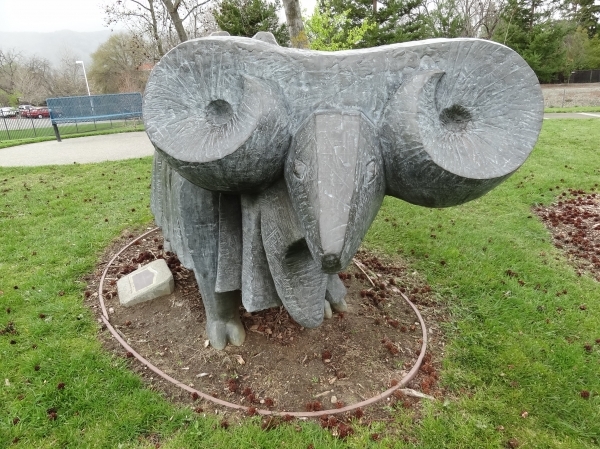 “The Yak” by Joseph Anthony McDonnell – a resident of Centennial Park that will help our wild beasts feel right at home. Our performance is presented in association with the City of Pleasanton. Thank you for coming out to Pleasanton! We loved having you. If you do any Oakland or Berkeley shows let me know. I’ll let folks from my work know who have kids! They would love it. We certainly will – working on a date for a Berkeley show right now! We’re so glad you enjoyed Pleasanton! We loved being there. Thanks for a great show, Pleasanton! We loved entertaining you in the sunshine and riding The Yak!